Ninkasi Brewing is teaming up with The Oregon Public House and C-Bar for “Pints For A Cause” on Wednesday, November 12 supporting the Beer Autism Hope Movement and Lance’s Room autism charity. On Wednesday, Nov. 12, $1 of each Ninkasi pint sold at both locations will go to support Lance’s Room. 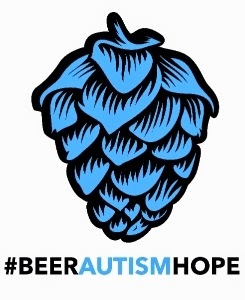 The Beer Autism Hope Movement began in honor of Lance Rice, a beer historian with autism who overcame incredible odds at 55-years-old and embarked on a 35,000 mile brewery tour (including a stop at Ninkasi Brewing in Eugene, Ore.) in 2013 to raise awareness for autism. What began as a journey for Lance to fulfill his dream to author an American Brewing History Book became a miracle for the autism community and a movement to give back. The Beer Autism Hope Movement supports the autism community nationwide through Lance’s Room charity as well as charitable causes within the beer industry – from scholarships and vocational training for the disabled to sustainable farming and more. “Pints For A Cause” was established by Ninkasi's Beer is Love donations program. The brewery encourages community give-back throughout all states in which it operates. One such way, is by hosting various “Pints For A Cause” events at its brewery and accounts, where a portion of proceeds is donated to a selected community organization. WHAT: “Pints For A Cause” supporting Lance’s Room autism charity. $1 of each Ninkasi pint sold goes to support autism awareness. This is your chance to stand behind one of the beer world's most inspiring historians - and give hope to all those who are touched by autism. Visit The Oregon Public House and C-Bar on Wednesday, November 12 to support a great cause and enjoy a great beer!